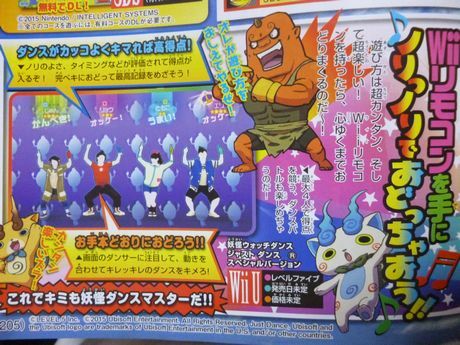 A new Just Dance game based on Level-5’s hit series Yo-Kai Watch is in development, according to this month’s issue of CoroCoro. The full title is Yo-Kai Watch Dance: Just Dance Special Version. Ubisoft and Level-5 are co-developing the new project for Wii U. The game supports cooperative and competitive play with up to four people. For the time being, a release date and price haven’t been determined.